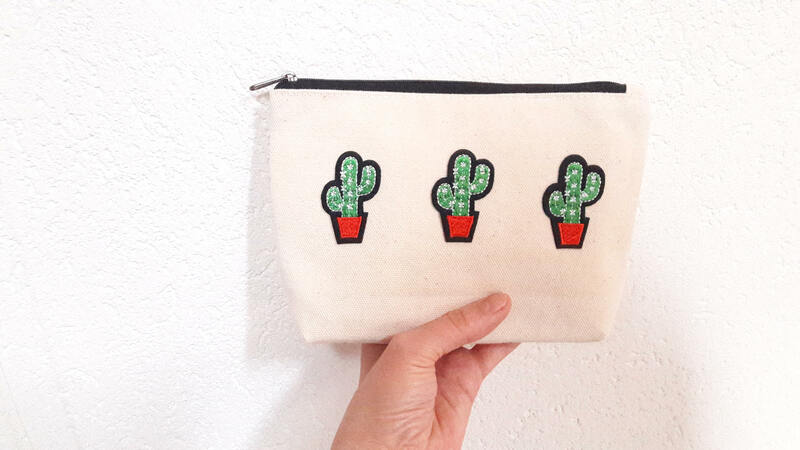 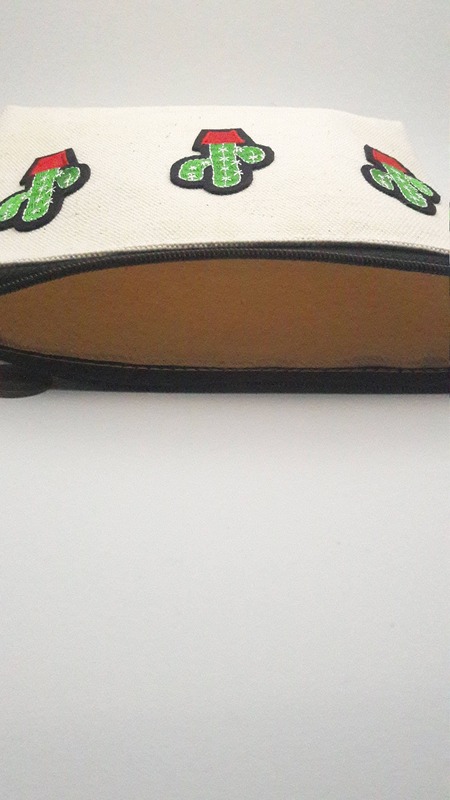 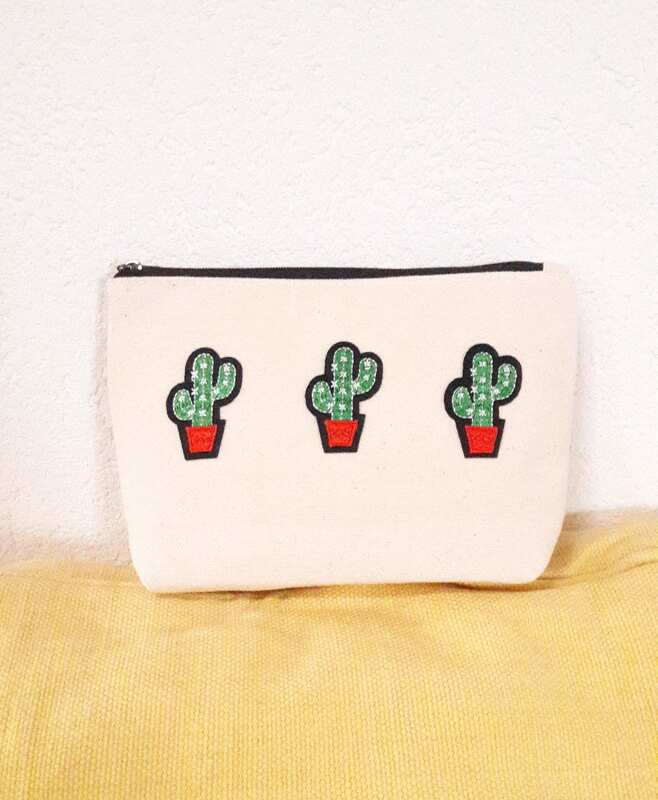 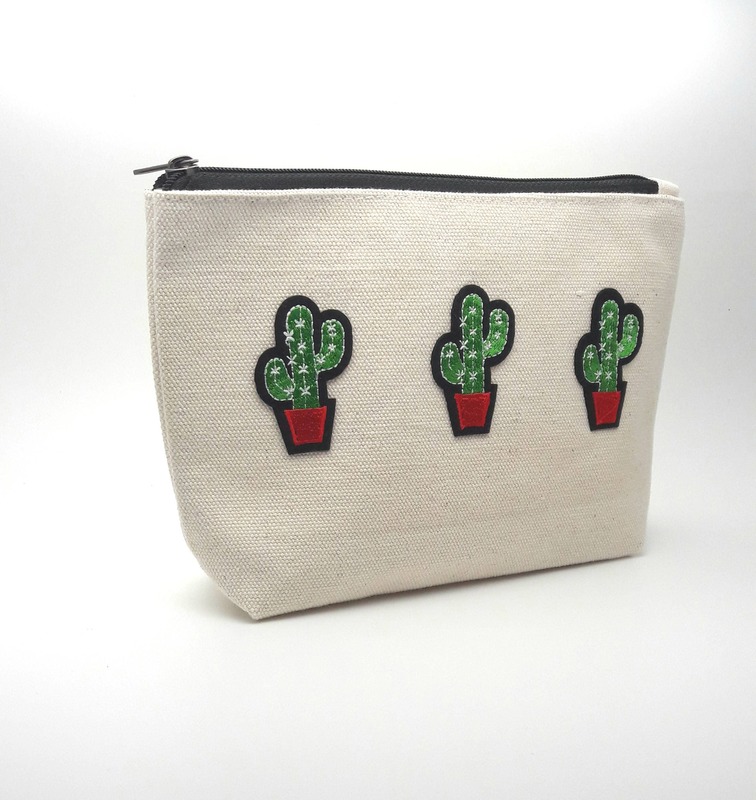 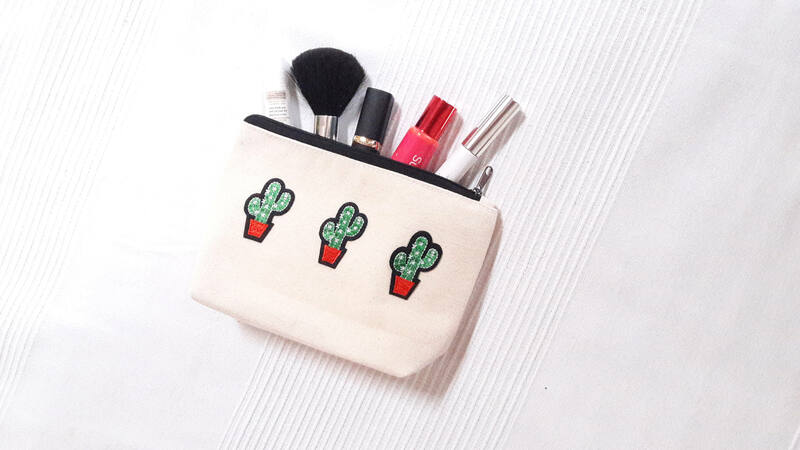 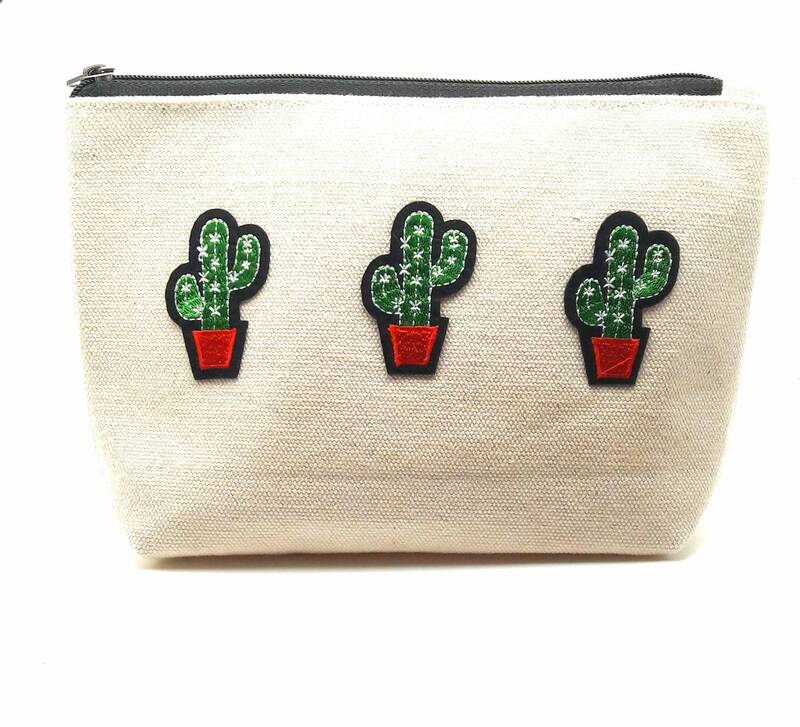 Cactus cotton canvas zip pouch//Embroidery patch cactus travel bag//Cosmetic Jewelry Makeup Storage Travel Accessory Organizer Pouch. 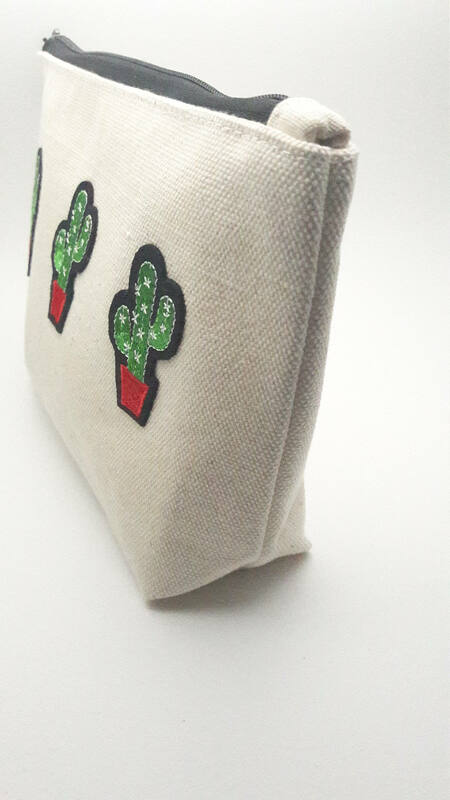 Pouch made with 100% natural cotton canvas, not bleached (the color is not white but light beige). 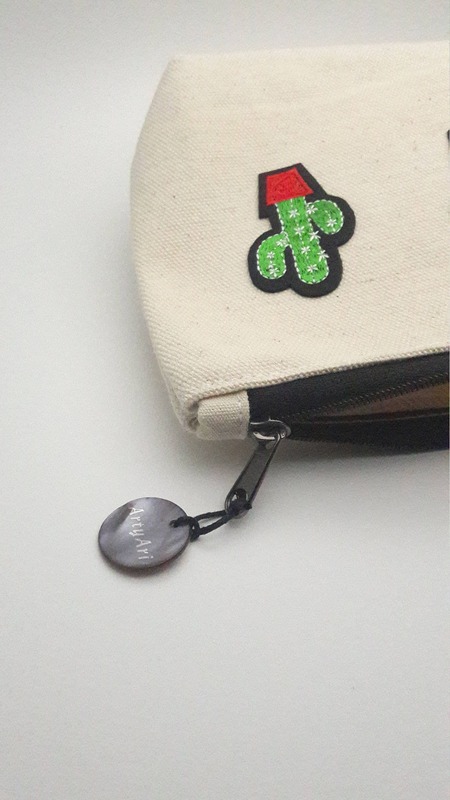 No lining. 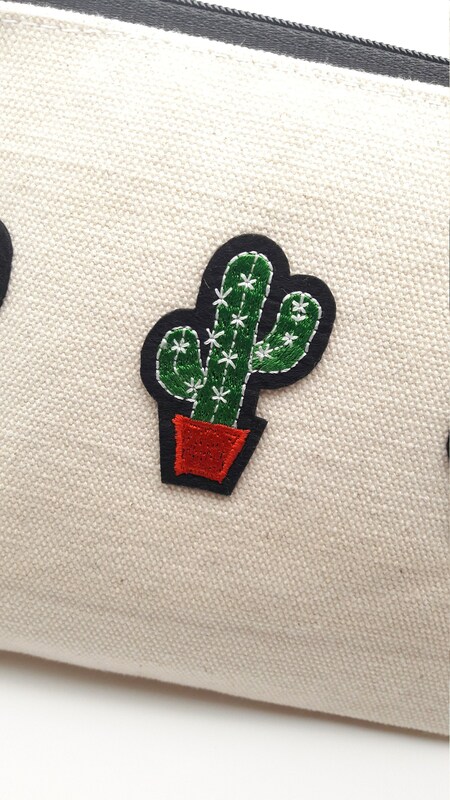 Black zip. 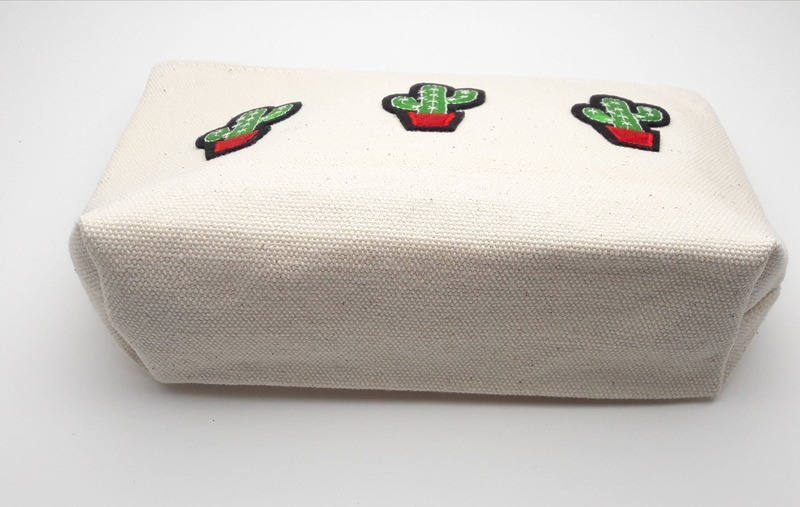 Decorated with 3 cactus embroidery patches on the front.